Elder Erik Randall Fox recently returned home after successfully completing a mission for the Church of Jesus Christ of Latter-day Saints. 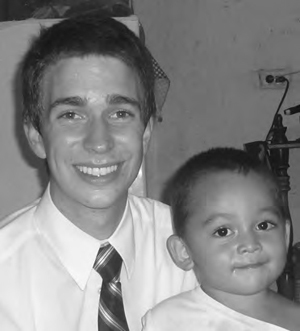 He served in the El Salvador Santa Ana/Belize Mission. Elder Fox will speak Dec. 30 at 12:50 p.m. in the Gordon Lane Ward sacrament meeting at the chapel on Village Boulevard in Stansbury Park. Elder Fox is the son of Randall and Karen Fox.